A Patiala salwar (also called a pattian walee salwar) is a type of female trousers which has its roots in Patiala City in the Northern region of Punjab state in India. The King of Patiala in earlier times had its Royal dress as Patiala Salwar. The Patiala Salwar has a close resemblance to the pathani Suit which has similar loose lowers as salwars and long knee length top known as Kameez. Over the decade the dress now is not worn by men but has classically transformed itself with new cuts and styling into women's Patiala Salwar. Patiala salwar The reason why the patiala dress is preferred by most of the women of punjab and other regions of Northern India is its comfortability and durability in summers. Since the patiala salwar is very loose and stitched with pleats its a very comfortable outfit to wear. Its distinguishing characteristic is folds of cloth stitched together that meet at the bottom. 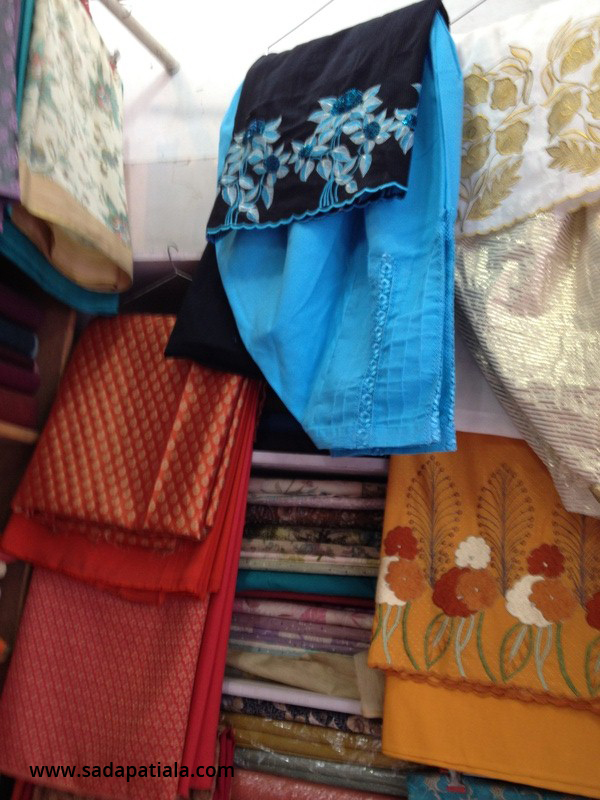 Patiala salwars require double the length of material to get stitched. 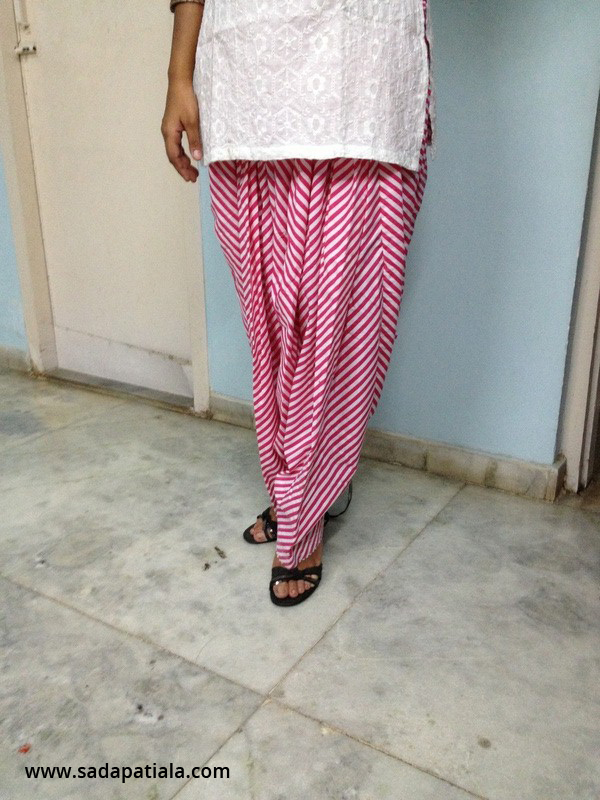 The fall of the pleats of the Patiala Salwar is such that it gives a beautiful draping effect. In Bunty Aur Babli (2005), a new look to Patiala salwars and kurtis, were worn by film's lead Rani Mukherjee, designed by Aki Narula. Actress Kareena Kapoor was also responsible for a new look in the film Jab We Met wearing a patiala shalwar & a short shirt.